Have you seen any evidence that Lyme disease is becoming epidemic in your state? The authors in the June issue Frontiers in Cellular Infection Microbiology  reported a marked increase in the deer ticks on mice and the heads of deer during the fall hunting season. These deer ticks were found in 57 of the 88 counties of Ohio, as of 2012. The authors confirmed the enzootic life cycle of B. burgdorferi, the causative agent of Lyme disease, exists in Ohio, based on the discovery of the three active stages (larva, nymph, and adult) of the deer tick. The authors attributed the increase in deer ticks and the percentage of B. burgdorferi-infected ticks found in Ohio to migrating birds and/or deer, as well as human activities. The Centers for Disease Control and Prevention (CDC) case numbers and surveillance map do not reflect the growing risk of Lyme disease in Ohio. The CDC has always considered the state non-endemic for Lyme disease. 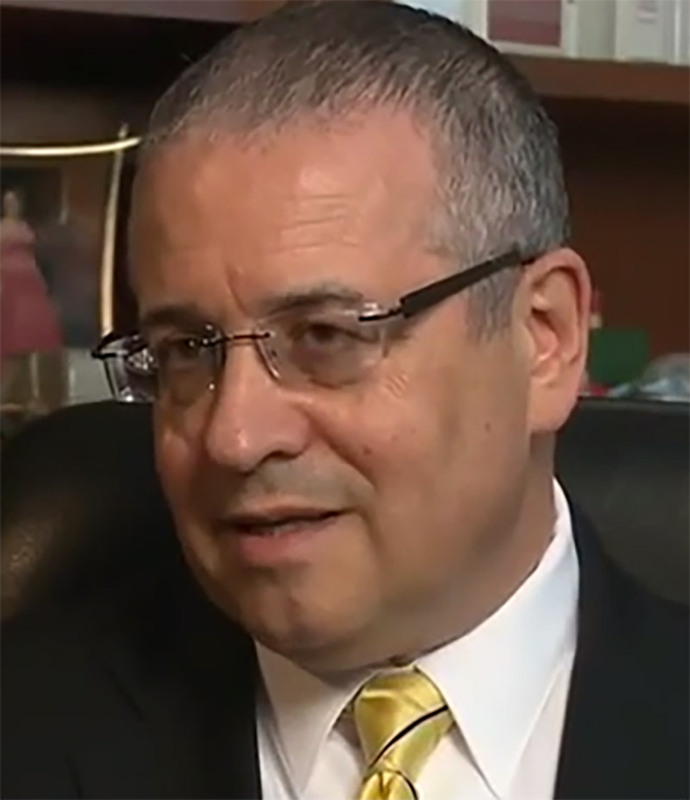 The Ohio Department of Health offered an invaluable look at the risk at the state level. A tick surveillance program has been operating since 1983. Unfortunately, the program lost funding and was discontinued in 2012. The number of black-legged ticks and the risks of infection is expected to continue to increase in Ohio, according to Glen Needham, one of the study’s authors and professor emeritus of entomology in the university’s College of Food, Agricultural, and Environmental Sciences. The CDC surveillance system does not have similar programs that report the number of infected deer ticks in each state to physicians. Yet, physicians rely on the CDC surveillance figures in determining the risk to patients and the likelihood of becoming infected. If the risk appears low, a diagnosis of Lyme disease may not be considered. 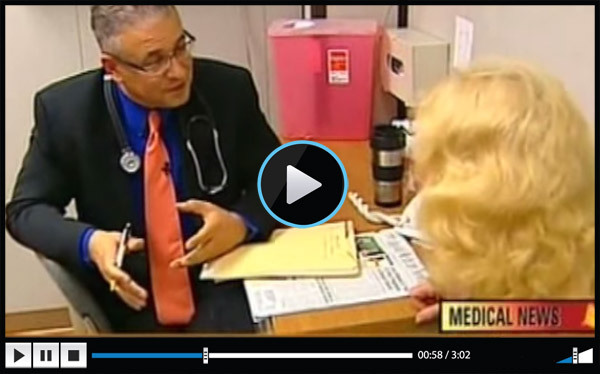 A patient’s symptoms may be dismissed and the disease, left untreated, can become chronic. The trickle down effect of inaccurate data cannot be understated and in the end, patients will pay the price. At Daniel Cameron & Associates, we have successfully treated many patients from all over the United States, who were infected in ‘non-endemic’ states. We would hope that medical professionals consider Lyme disease and tick-borne illnesses in patients living in non-endemic States, even if deer ticks have not yet been recognized by the CDC. More information of other species of ticks and the diseases they transmit, can be found at http://danielcameronmd.com/about-ticks. 1. Wang P, Glowacki MN, Hoet AE et al. 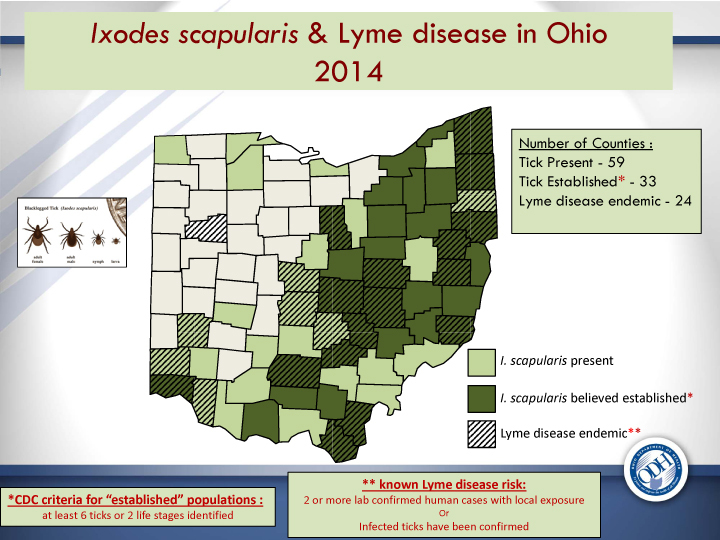 Emergence of Ixodes scapularis and Borrelia burgdorferi, the Lyme disease vector and agent, in Ohio. Frontiers in cellular and infection microbiology, 4, 70 (2014). 1 Reply to "Lyme disease expected to be epidemic in Ohio"
Yes. Lyme is epidemic in Texas. Also in Sweden where I lived for 24 plus years. Please read this article and see the links in it if you haven’t already.